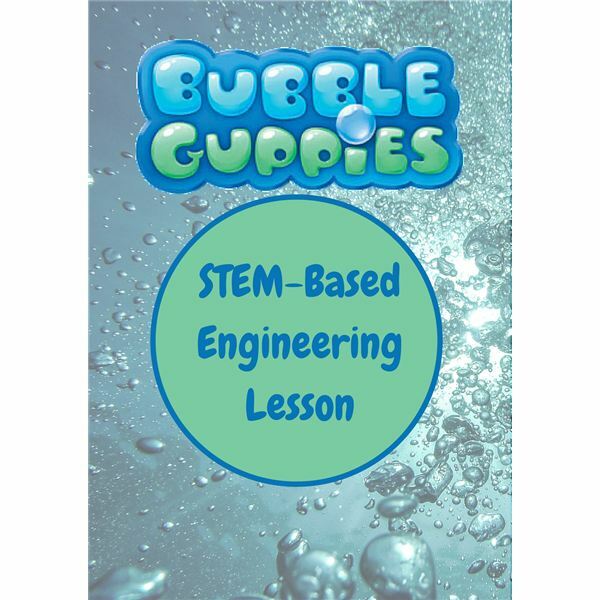 This episode of Bubble Guppies with an underlying theme of engineering is a great way to incorporate a STEM-based lesson into the preschool classroom. With catchy songs and simple hand gestures, kids can learn all about the different sounds tools make. They become familiar with the concept of blueprints as guidelines for design and even gain some basic knowledge in structural foundations as they watch a dragon try to blow down several towers. Bubble Guppies is one of Nick Jr’s most engaging TV shows. The creators of the show also work very hard to link several concepts together in a short time period. What might sound like a challenge is quite easy for the Guppies and their teacher Mr. Grouper. The preschool setting of the show benefits teachers because it mirrors their own classroom setting. In this episode, the Bubble Guppies become interested in construction and building. They decide to work together to build a doghouse for Bubble Puppy. They also visit a construction site and learn more about tools. The fifth in a series of five articles based on using Nick Jr shows to teach STEM, this lesson looks at engineering using the concept of house building. The downloadable worksheets should help make this lesson a success, while employing the hands on, creative and open-ended question techniques that are so essential for STEM learning. Check the References section of this article for a link to the episode.